Ducted vs. Ductless... What's the Difference? What’s the difference between a ducted system, and a ductless system? It may seem like an obvious question, but the answer could help you make a more informed choice for your heating and air-conditioning needs. Ducts are tubes formed from sheet metal. They begin at a central air-handling unit and can run through the floors, walls or attic of your home, distributing the warm or cool air via heat ‘registers’ in your floor or ceiling. The ducts attempt to distribute air evenly to all of the rooms in your home. The air handler works to maintain the same temperature throughout the house. On the way, air is often lost through the ductwork resulting in a significant loss of energy and money. A is just what it sounds like. It is a heating and cooling system that distributes heat or air-conditioning without the use of ducts. A condenser unit is located outside of your home and is connected by conduit to an indoor air-handling unit mounted either on the wall or floor. Refrigerant, power cables and suction tubing are housed in the conduit. There is also a condensate drain. Essentially, the outdoor unit acts as a replacement for ductwork. When a ductless heat pump is in air-conditioning mode, refrigerant runs through the tubing from the outdoor unit into the indoor unit where it passes across evaporation coils in the head and gets distributed throughout the room. The result is that you get comfortable air conditioning where you want it. And not in rooms you are not using. The amount of space that you want to heat or cool determines the size, or number of indoor units you need to heat your home. Ductwork is expensive to install compared to installing a ductless system. And, ductwork allows for 15% to 20% loss in a home’s heating and cooling, thus reducingenergy-efficiency and driving up heating and cooling costs. Ductless = and lower heating and cooling costs! 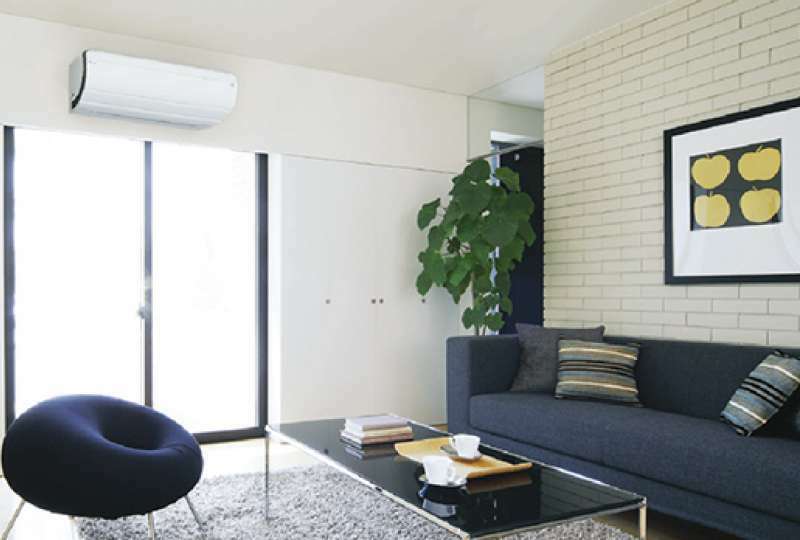 Installing a ductless heat pump is a painless process, and with help from energy rebates, may just be the best choice for your home.